Clown around in this sweet and sassy clown costume! Our Teen Girls Sassie the Clown Costume features a fitted black dress with colorful polka dots down the center and a detachable white, sheer collar finished with a blue bow. 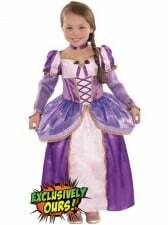 Add some pizzazz to this costume with a black, mini hat, patterned tights and matching black fingerless glovelettes. Sassie Spirals Wig sold separately. Premium Colletion Imported from America. Clown around in this sweet and sassy clown costume! 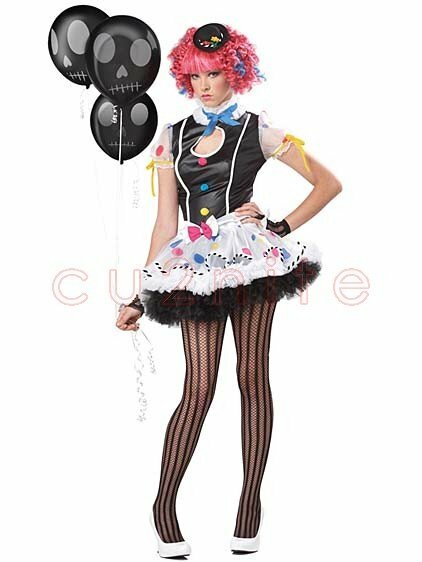 Our Teen Girls Sassie the Clown Costume features a fitted black dress with colorful polka dots down the center and a detachable white, sheer collar finished with a blue bow. Add some pizzazz to this costume with a black, mini hat, patterned tights and matching black fingerless glovelettes. Sassie Spirals Wig sold separately. Premium Colletion Imported from America. Includes: Dress Collar Mini Hat Tights Glovelettes Express Post Service Guaranteed Next day delivery to major cities within Australia Perfect Costume Idea for Costume Parties, Dress-up Parties, Hens Night Parties, Easter and Halloween Buy fancy dress costumes at cu2nite.com.au, you will receive high quality products with lowest price guarantee and ultimate shopping experience. up to 110 lbs 65" 34" 27" 34" 29" 15.25"
up to 120 lbs 67" 36" 27.5" 36" 30" 16"
Know what! when my daughter arrived, all "princesses" got around her! She was like a KING in control of all Princesses! Good qualityReview by Marnne S.
I though it's adult one! but so happy it wasnt! my girl is not like most kids, she's not interested in princess things, so every time it drove me crazy to prepare her book-week! there's not many choices for girls when we dont like princess stuff. the quality is awesome too. i dont want to buy those using cheap crap material.